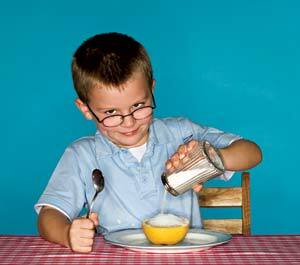 Fructose, a primary sugar in fruit, is not quite as user-friendly in the human body as glucose. So, fruit isn’t bad for your, but eating too much fruit can be detrimental to your weight loss goal. That being said, here are some of the best fruits to use in smoothies because of their low sugar content: lemon, lime, rhubarb, raspberries, and blackberries. Low to medium sugar content includes: blueberries, cantaloupes, casaba melon, watermelon, nectarines, papayas, peaches, and strawberries. High sugar fruits include: oranges, kiwis, pears, pineapples, and plums. 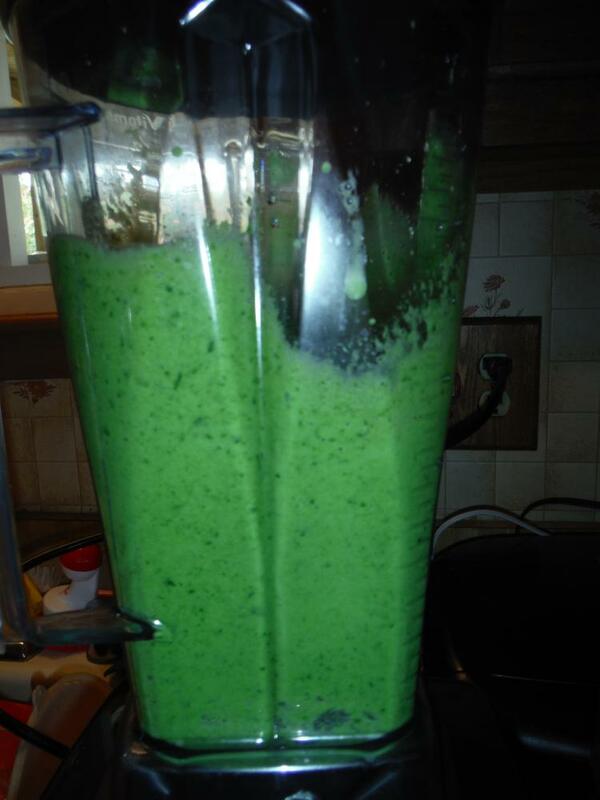 Try to stick with the first two categories when juicing and smoothie-ing and you’ll be good to go. Here’s one of my favorite smoothie recipes – not too sweet and tasty as ever. Read on! 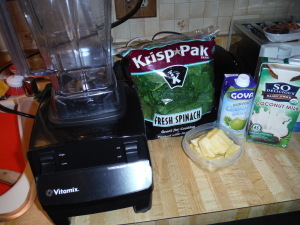 Gather your ingredients: spinach or kale, coconut water, unsweetened coconut/almond/coconut-almond milk, ice, and pineapple. 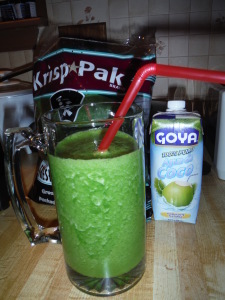 Pour in a large glass, top with a straw, and enjoy! You can replace the fruit with strawberries, blueberries, raspberries, or blackberries for a lower sugar option. Not sweet enough? Add a scoop of vanilla protein for an extra yummy treat. Enjoy! 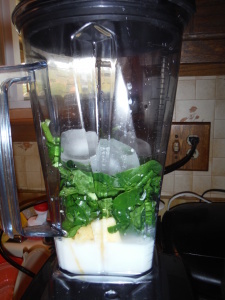 Place all ingredients in a blender, blend until smooth, and serve with a straw! Enjoy! Use frozen fruit for an extra frosty treat.